The country’s leading fastfood chain and home of happy memories for many Pinoys, is reviving one of its most iconic jingles via a campaign that encourages families to make weekends a time for family bonding. 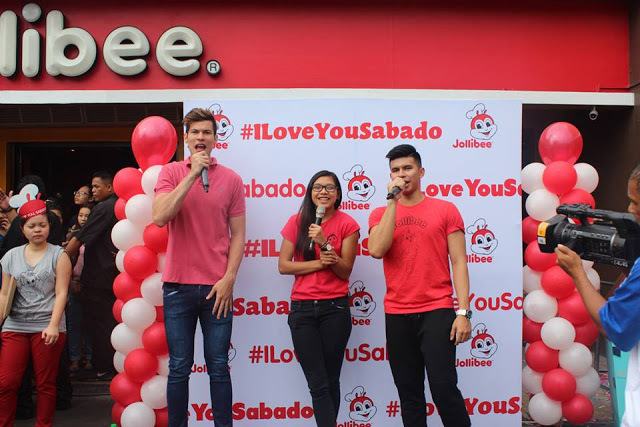 First launched in 1987, the “I Love You, Sabado” jingle which has been rewritten and given a fresh arrangement, is considered one of the most well-loved and successful campaigns of the fastfood giant. To officially kick off the I love you Sabado campaign, six flagship Jollibee stores nationwide will be holding simultaneous launches on the morning of July 4 (starting at exactly 8 am) with lots of freebies and surprises for customers who will come with their families. Aside from free langhap-sarap meals, games and other fun activities are in store for customers. 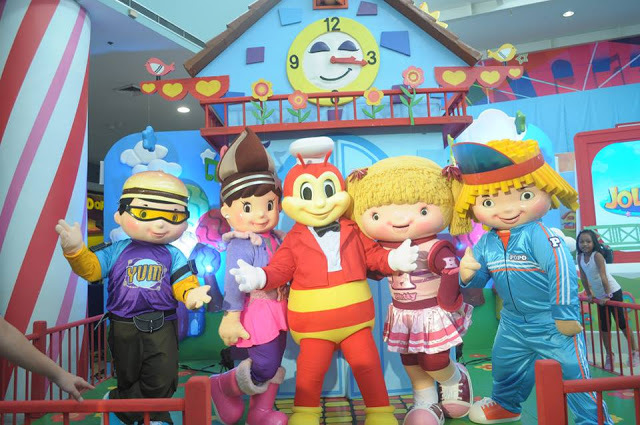 Jollibee’s brand ambassadors and mascots will also be featured in each of the runs. 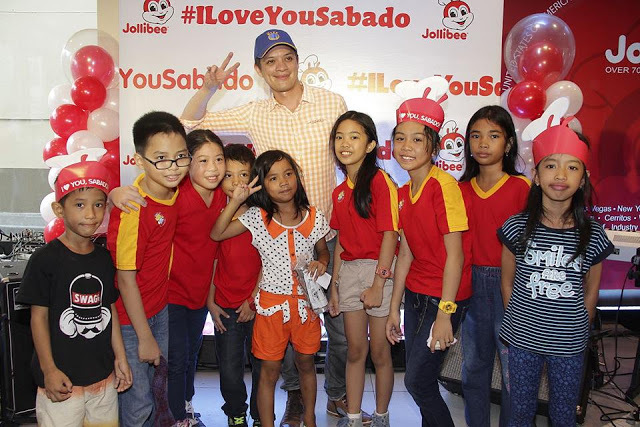 while rock icon Bamboo will perform at Jollibee E. Rodriguez. The Voice Kids grand finalists and Jollibee Kids Club endorsers JK Labajo, Lyca Gairanod, and Darlene Vibares will delight their fans at Jollibee Iba, Zambales, San Pablo Plaza and Parkmall Mandaue, respectively. The TVK stars will be giving customers a sample of their own ‘I Love you Sabado’ renditions. The kick-off at Jollibee Talomo in Davao meanwhile will be joined by up and coming star Emmanuelle Vera. “Our ‘I Love You, Sabado!’ campaign inspired families to make the most of their weekends by spending quality time with one another. As a brand that promotes the joy of family, Jollibee is bringing back to life this campaign as we believe that the message still holds true in this day and age. Amid the hustle and bustle of our day to day lives, we want to reinforce the importance of reserving weekends and pursuing our passions with the the people who matter most -- our family,” said Jollibee vice president for Marketing Harvey Ong. 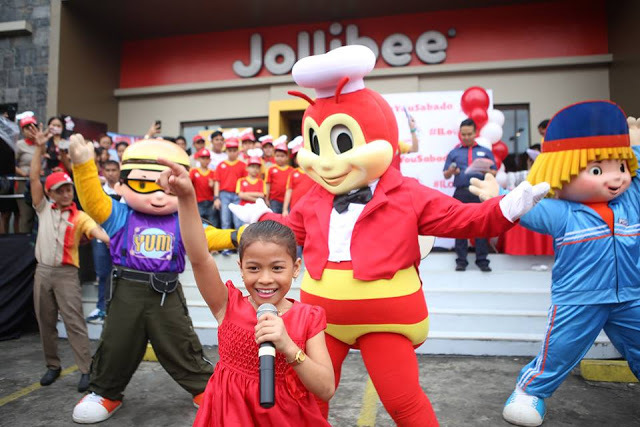 “Jollibee is going all-out on this campaign in line with our goal of engaging even more Filipino families across the country. We will make this a yearly advocacy by enjoining the whole nation to celebrate every first weekend of July thereafter as a National Family Bonding Weekend. Then and now, this is what our brand proudly stands for,” said Ong. To view the refreshed I Love you, Sabado! Video, visit Jollibee’s official Facebook page or click on this link: https://goo.gl/vPRtBM. the undying song I love You Sabado, mapapakanta ka talaga lalo na pag me kids kang kasama....bonding moments!